“Sportster” and “Storage” is a bit like trying to mix water and oil, its designed to be kept separate. 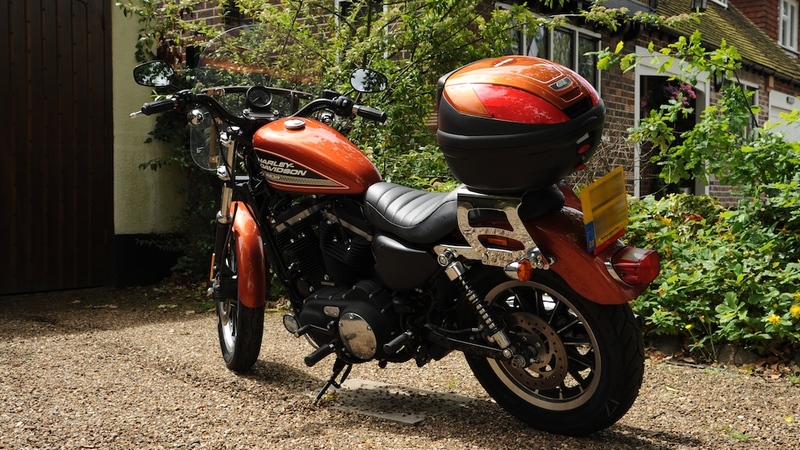 As I like touring, I bought a Road King, with saddlebags, and Sportsters can look good with saddlebags. But then, saddlebags are a No No when commuting in a busy city and filtering through heavy traffic. A slim end of the bike is a real life saver, it buys you these crucial centimetres you sometimes need. But for commuting, specially if you work in a office and are expected to wear a suit and tie, you need some storage, for rain gear and the helmet when you park. My scooter, a Piaggio MP3 400i, was ideal, you could store 4 (four!) half face helmets easily, 2 under the seat and 2 in the topcase. OK, I never carry 4 helmets, but a bag and lots of layers of clothes for every weather, so when entering the office, even in rain, I could have stepped out of a black cab. The Sportster has no storage. Nada, Nothing, Rien, Nix. The only solution, while avoiding saddlebags, was a topcase. As Harley sells a nice detachable chrome topcase holder, that fits over the pillion seat, this was my choice. It did not hang over the end like many topcases, but made the bike a compact single seater, and when removed, a 2 seater without any storage. As topcase I selected a GIVI E370. Its the smallest big one, or the biggest small one, depending how you look at it. Its not the monster box that defines your bike and if filled with concrete allows easy wheelies, but still has for me very important 39 liter of storage volume. 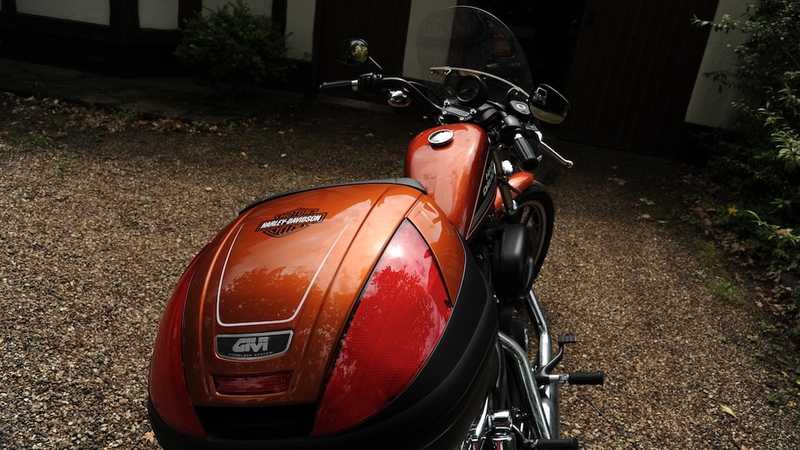 The top cover comes in black or silver, but to have some individualistaion away from the mass market GIVI topcase every courier service uses, a friend of mine sprayed it in something close to Sedona Orange, and even airbrushed a Harley logo and pinstripe on it. Very nice work, if just the colour would not be so slightly off. 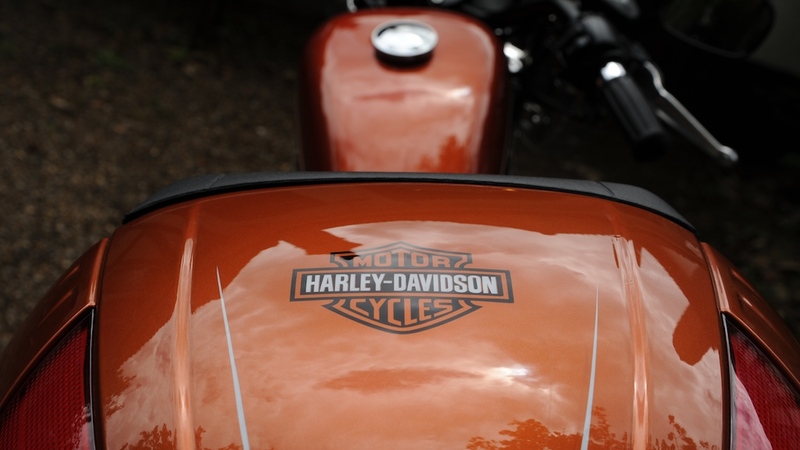 There are better looking Harley-Davidson Sportster out there, I agree with Ian Solley, but its a bit like with Labrador Retrievers: there are show dogs and there are working dogs. This Sporty will have to work, everyday, whatever weather. 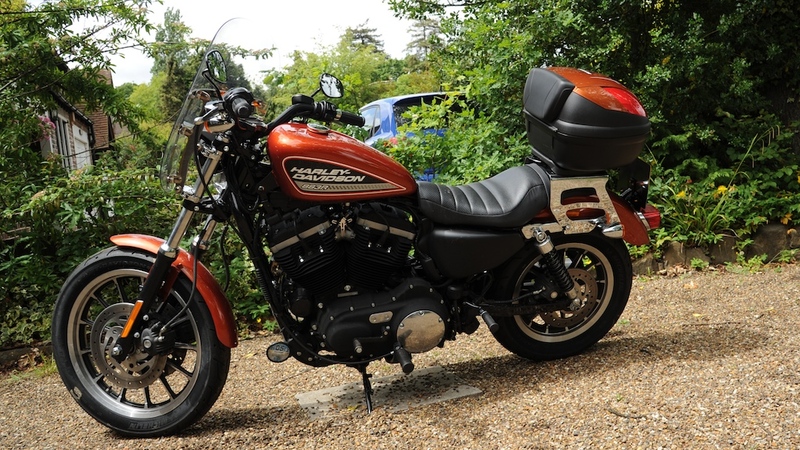 After returning from the HOG Croatia Rally, I finally could take delivery of my new workhorse, a Sportster 883 Roadster. The topcase is still missing. 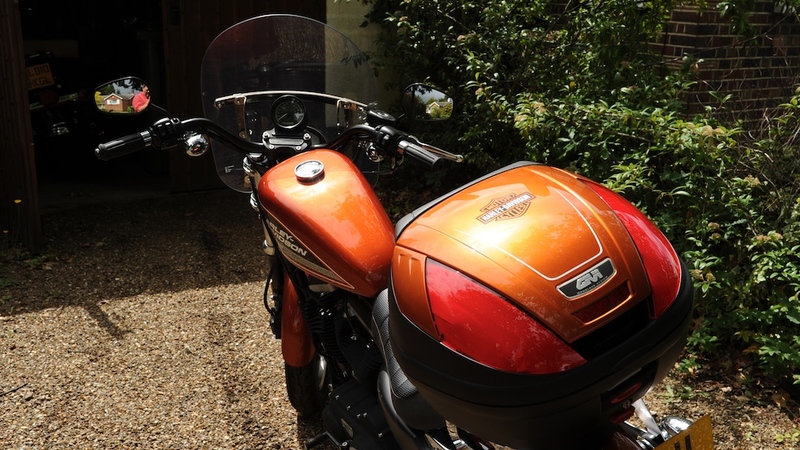 I am very pleased after the first 2 weeks of riding this bike in heavy London traffic, more details and impressions later. Do not wear your helmet, it’s the law!